Should we try a domestic or foreign adoption? What agency or law firm did you use? Who should we avoid? What would you have done differently or smarter? Your installation family center might know about an adoption support group on your installation or in the community outside the gate. You’ll be surprised once you start asking how many families have adopted. While you are at the center, ask where new parent support classes are provided. You may be able to use these classes as part of your training once you are in the process. Also check with the chaplain’s office, your own church, or the legal assistance office to see if they have a list of local resources for adoption. Read up on the adoption process. A good overall background can be obtained at the Child Welfare Information Gateway. This site, run by the Department of Health and Human Services, provides non-biased information about the process, different types of adoption, different agencies, and a glossary of terms. Another helpful resource is a publication from the Children’s Bureau and AdoptUSKids. Military service members who adopt a child under 18 years of age, including step-children, may be reimbursed for qualified adoption expenses up to $2,000 per adoptive child (up to a total of $5,000 if more than one child is adopted) per calendar year. In the case of a dual military couple, only one member may claim expenses for each adopted child. Expenses incurred through the adoption of a service member’s children by a non-service connected step-parent do not qualify for reimbursement. To claim reimbursement for an adoption, be sure to submit a DD Form 2675 no later than one year after the adoption is final. The service member must be on active duty when filing for the reimbursement. You cannot get paid twice for the same expense by different programs. A separate form must be submitted for each child adopted. If you have questions as you are completing the form, you can email the Defense Finance and Accounting Service (DFAS) office in charge of reimbursement at CCL-Adoption-reimbursement@dfas.mil. Veterans with service-connected infertility are also eligible to receive reimbursement of adoption expenses. The reimbursement rates and covered expenses are the same as those offered to active duty families. The application for reimbursement must be submitted no later than two years after the adoption is finalized. For more information, visit the VA’s website. There are three categories of parental leave for service members: convalescent maternity leave, for service members who give birth; primary caregiver leave; and secondary caregiver leave. 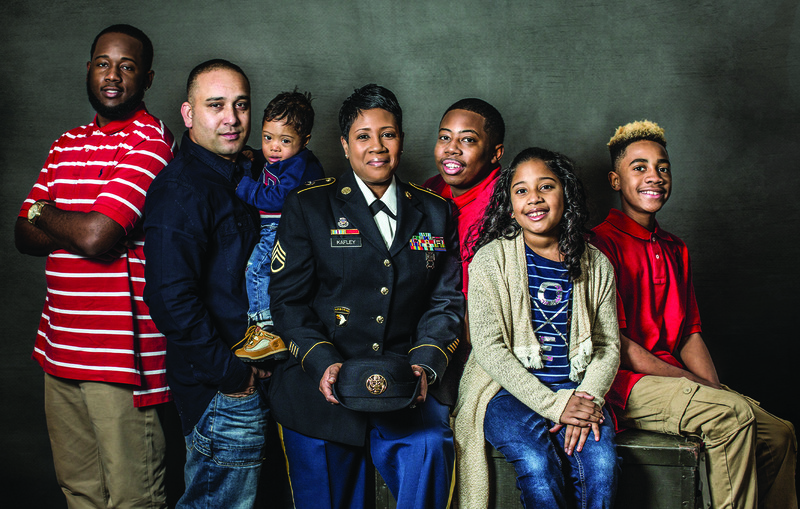 When adopting a child, service members can designate one parent as the primary caregiver, who is authorized up to six weeks of non-chargeable leave. The Army and the Air Force authorize 21 days of non-chargeable leave for secondary caregivers; the Navy and Marine Corps allow 14 days. Primary and secondary caregiver leave may be taken at any time within one year of the child’s adoption. As with any leave, this is granted at the discretion of the commander. Only service members who are eligible for reimbursement of adoption expenses are eligible for this leave. The pertinent regulations for the placement of pre-adoptive children are found on pages 75 through 77.